Expect quick and easy installation of different types of composition roofs in the Greater Vancouver area with a free quote! Roofing Vancouver BC specializes in composition roofing installations, repairs, and replacements in the Greater Vancouver area. Whether you need your composition roof repaired, cleaned, installed, replaced, or remodelled, you can count on us to do the job within budget, on time, and to your standards. Composition shingles are one of the most common composition roof materials used for both residential and commercial roofing. This type of roofing material is durable, widely available, water-resistant, fire-resistant, lightweight, great-looking, and affordable. Some composition roof shingles are designed to be energy efficient. These Energy Star rated roofing materials can help you lower your cooling and heating bills. There are two main types of composition roofs and shingles: fiberglass and organic. Fiberglass composition roofing shingles are made of a fiberglass-reinforcing mat coated in asphalt and minerals and produced in the shape of a shingle. Organic composition shingles consist of organic felt-like paper materials saturated in waterproofing asphalt. Composition shingles come in a wide range of styles and colors. Architectural laminate composition shingles are very popular as they provide visual texture and are incredibly durable. There are also composition shingles with rounded or tiled designs that allow homeowners better control of the style and aesthetics of their property’s exterior. 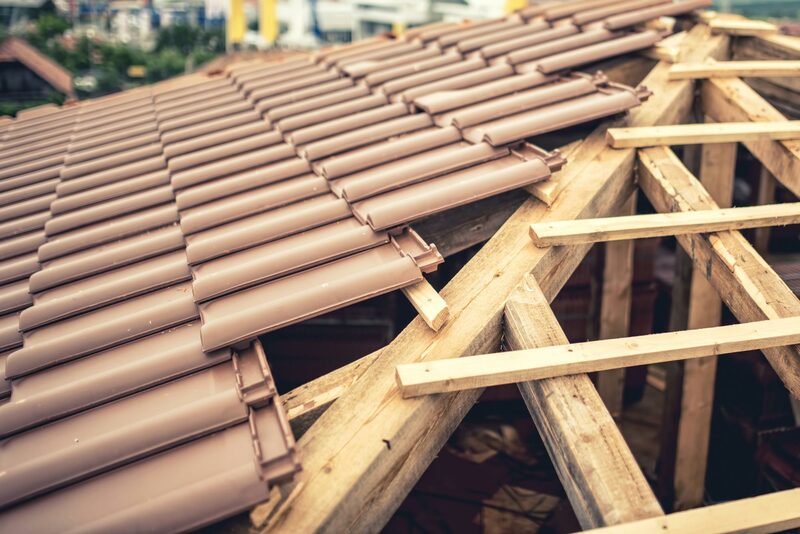 Even if you can go to the nearest big box hardware store, purchase composition shingles, and think you can install a roof on your own, this is a task that is better left to the professionals. If the roof is not installed properly, it will not do the job of protecting your home and your family from the elements. You may also end up invalidating the warranty if you don’t install the roofing materials correctly. Our team of professional roofers have the expertise for proper roof installation and will ensure that your roof meets expectations. We will never waste your time or resources. Given the fact that the roof is a big part of your home’s exterior view, we always strive to leave you with a roof that is as sturdy as it is good-looking. Is your roof old and in bad condition? Was it damaged by falling debris after a storm? Does your ceiling show signs that your roof has sprung a leak? The longer you leave your roof in its damaged state, the worse things will get. Small leaks can lead to extensive damage that can threaten your entire home and require major repairs or even a full roof replacement. Any time you notice something wrong with your roof, you should have it checked out by professional roofers as soon as possible. At Roofing Vancouver BC, our team of roofing specialists are trained and equipped to handle all types of roof repairs. Our roofers have the knowledge and training to handle the different materials that make up composition shingles. We only use the highest quality roofing materials from trusted manufacturers and suppliers to make sure your new roof is better than your last one. At Roofing Vancouver BC, our team is trained to ensure that the residents are not inconvenienced and that the property is not exposed to sun and rain as we install your new roof. Need Composition Roofing Services Today? At Roofing Vancouver BC, we are happy to provide a FREE inspection on any commercial or residential roof. Call us today, and we'll help you get your composition roof back in tiptop shape. Our team is looking forward to serving you.